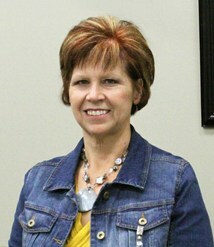 My name is Tammy Morris and I am excited to spend my eighth year as principal working with the wonderful students, parents and teachers of Krum ISD. This is my thirteenth year in the district and I can’t think of a better place to work. I would like to tell you a little about myself. I have 3 grown children – Crystal, Jacob, and Joshua, and 9 grandchildren – Jaden, Kylie, Dylan, Daisy, Caleb, Olivia, Lennon, Carlin and Maddox. I am expecting a new grandson at the beginning of August. I also have my beloved dog – a chiweenie named Josie. I spent many years at home with my children when they were growing up. I worked for 2 years at a private school and then decided that teaching children was what I was meant to do. I then worked at the Head Start program in Gainesville for four years during the day, while taking night classes to obtain my Bachelor’s degree. I graduated from UNT in December of 1994 with my Bachelor’s degree in Interdisciplinary Studies with an Early Childhood specialization and an English minor. I obtained my Master’s degree in Education with a reading specialization in December of 2003. I went through the Alliance for Educational Leadership program through the Region 11 Education Service Center from June of 2006-June of 2007 to obtain my principal certification. I am also ESL certified. Along with my 13 years in Krum, I spent 2 years teaching kindergarten for Sanger ISD and 6 years teaching first and second grades for Era ISD. I also spent 4 years teaching part-time as an adjunct instructor at NCTC in Corinth. I look forward to meeting you, if I haven’t already, and I open my doors to you anytime you have a question or concern. I am honored to play a small part in the early education of your child. Please never hesitate to contact me if I can be of service to you. Together we can make a difference in the education of your child.